Tudors and my interest in that time of history. Henry VII started the dynasty as a medieval ruler while Elizabeth I ended it during the height of the English Renaissance. England went from being one of many small European countries into a major world player with newfound colonies, such as Virginia, ultimately becoming a world empire. When Martin Luther began questioning the practices of the Catholic church, he opened a door that could not be closed. Once someone started questioning long accepted religious ideas, the genie came out of the bottle, so to speak, and reformists ideas started to spread. Ideas can’t be stopped, despite the fear and anxiety created by them . Henry VIII entered the stage at a time when many were questioning accepted dogma: he started as a devout Catholic and ended his reign as the head of a new church, the Church of England. Anne Boleyn met Henry at a critical time. Without a male heir and a pope who was in no position to grant him a divorce, Anne and others who held reformists views used the qualms of a fearful king to push him toward the first break with Rome. The quest for a male heir ultimately led to the creation of a new religion, with more changes to follow during the brief reign of Edward VI. 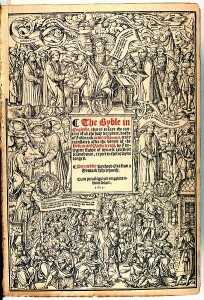 Many opposed any changes, such as Thomas More and later Mary I, but a return to the old ways was not possible, once the English people began to read and think about religious ideas for themselves. The Tudors ruled at a time of religious change, which in turn led to a shift in economic power. The lands held by the clergy became the wealth of the king and nobility, who played the political game for wealth and land grants as ruthlessly as any capitalist would. The displacement of the former land owners made them part of the underclass in England. The economic problems of the poor became worse when the religious houses closed, and the problem of a growing discrepancy between rich and poor widened. Living under Tudor rule would have been both exciting and for some, terrifying, at the same time. I think any era of such sweeping changes combined with many charismatic characters, would be a time worth studying in greater detail.